1 What is a PDB? 2 Why should I use a PDB? 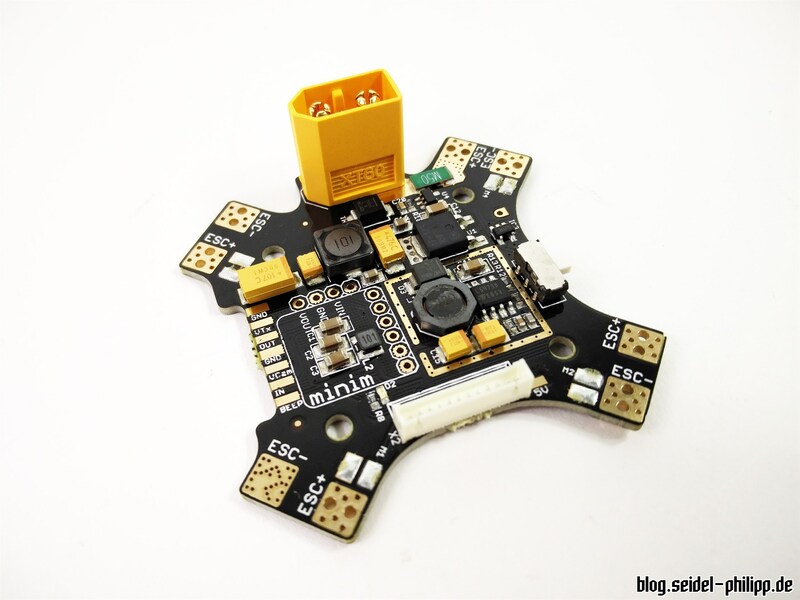 PDB stands for Power Distribution Board. 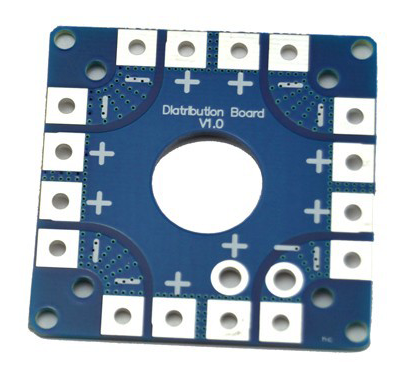 It is used to distribute the current to the individual components many PDBs will do more than that. For example voltage filtering (for FC, VTX, FPV Cam, …) or providing an OSD. Why should I use a PDB? A PDB is not a must-have, but it can streamline the built a lot. Also you save a lot of the hassle of cabling power wires and getting access to special functions, depending on which PDB you’ve got. 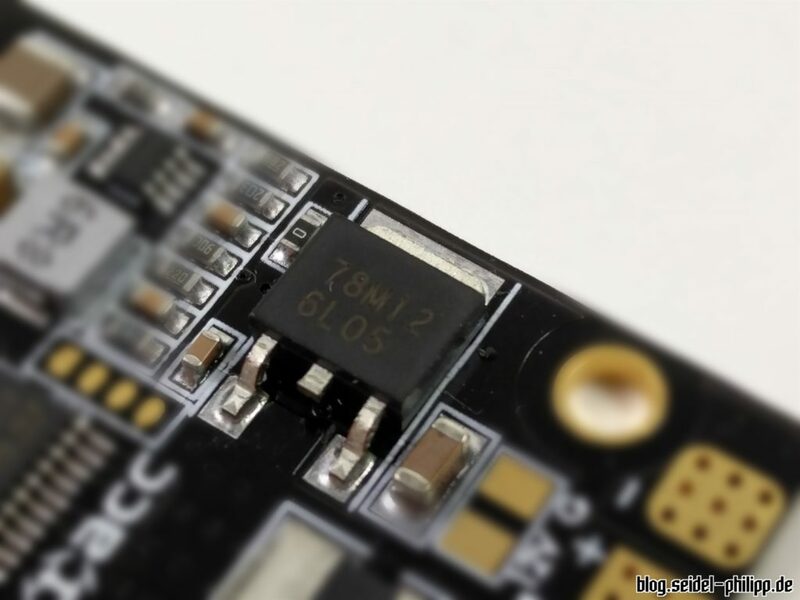 Of course, PDBs are not a must-have, you can solder all power wires directly instead. This would make maintenance or upgrades a lot harder though. Depending on which PDB you would choose and how you would do direct wiring, one or the other choice is the lighter one. 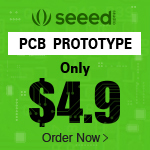 PDBs are available in various shapes and sizes. Most widely used are the ones with a 30.5×30.5 mm mounting hole pattern, which is the size of most flight controllers. 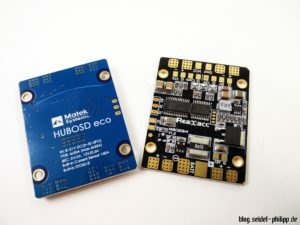 In addition, there are PDBs that are part of the frame or which can be connected to a flight controller or other hardware with pin headers. General purpose PDBs are the most popular choice to date. They are usually installed with nylon spacers below the flight controller. 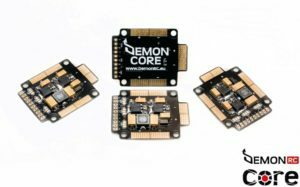 This group gives you many options and these are compatible with most flight controllers. PDBs which are part of the frame aren’t as popular as they were some time ago. Part of the reason is being bound to the one frame they were made for. Frame PDBs were mostly developed for the ZMR250 or other more exclusive frames. The advantage of this PDB is that you only need a few cables and get a clean built. Disadvantage is the stability and crash endurance. Also, if there’s one minor defect the entire frame has to be disassembled. Stackable PDBs always have at least one counterpart to which you connect via pin headers. In the event of a defect of the flight controller, these PDBs can be swapped out very quickly. It also saves wires and soldering work. 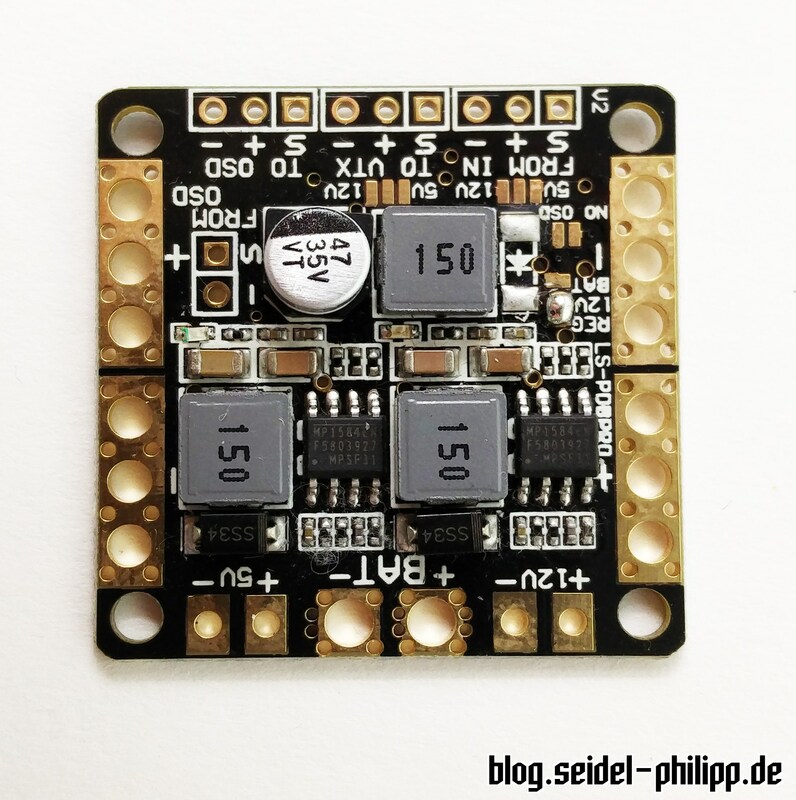 Nowadays all PDBs have voltage regulators for 5 V and 12 V. With these you can power your flight controller, video transmitter, FPV camera or other hardware. Note: Research beforehand on how much power the voltage regulator can provide. If overloaded, the regulator can permanently damage the PDB or turn off its output. On most PDBs you can find a so-called LC filter. This filter provides clean / filtered voltage for components such as video transmitter or FPV camera. 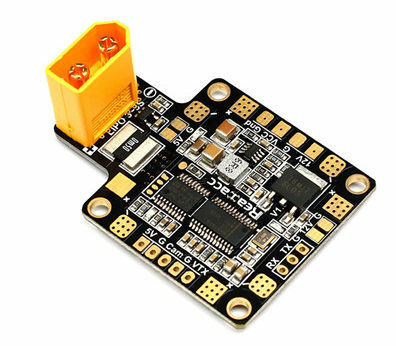 Especially ESCs with active breaking can produce voltage peaks up to 40 V during hard flight maneuvers. 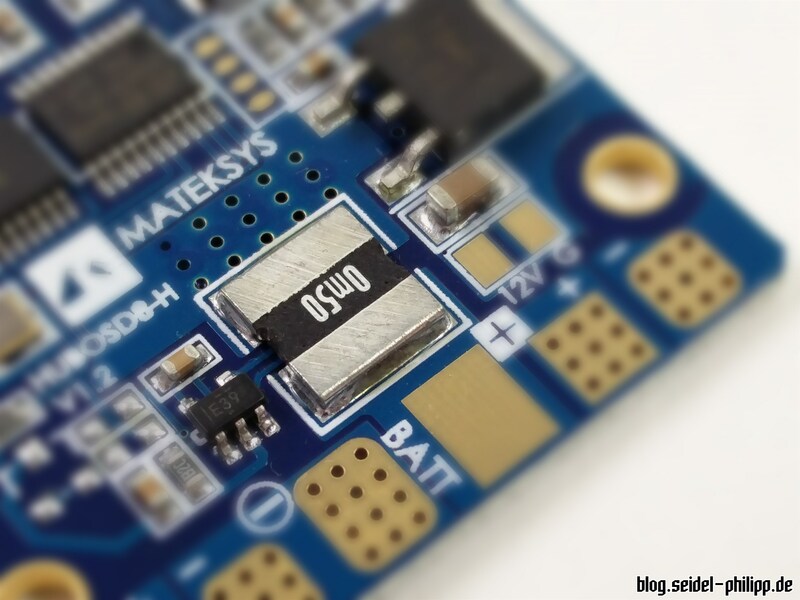 Thesevoltage spikes can destroy your hardware. 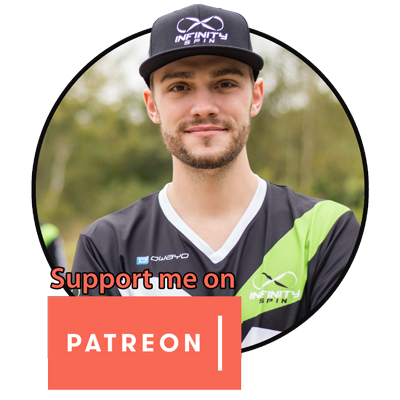 Especially for video transmitters, filters are indispensable, since otherwise you often have many horizontal stripes or distortions in the video image. An OSD (On Screen Display) is used to display information in text form over the FPV video feed. Most will show the LiPo voltage , current (if the PDB supports this), a flight timer or the pilot name. More complex PDBs can communicate with the flight controller via a serial interface (Rx Tx), for example to configure PIDs and rates, or to display the flight mode. The current sensor measures the current (A) and displays the total consumption (mAh). For me, the current sensor is however not essential, since it can deliver inaccurate values. If a LiPo is not fully charged, you cannot rely on the consumption either. I’m more interested in the voltage, because it exactly reflects the charge state of the LiPos. The nice thing about a current sensor is, however, that you can see much electricity the setup consumes in flight or at punch-outs at a glance. 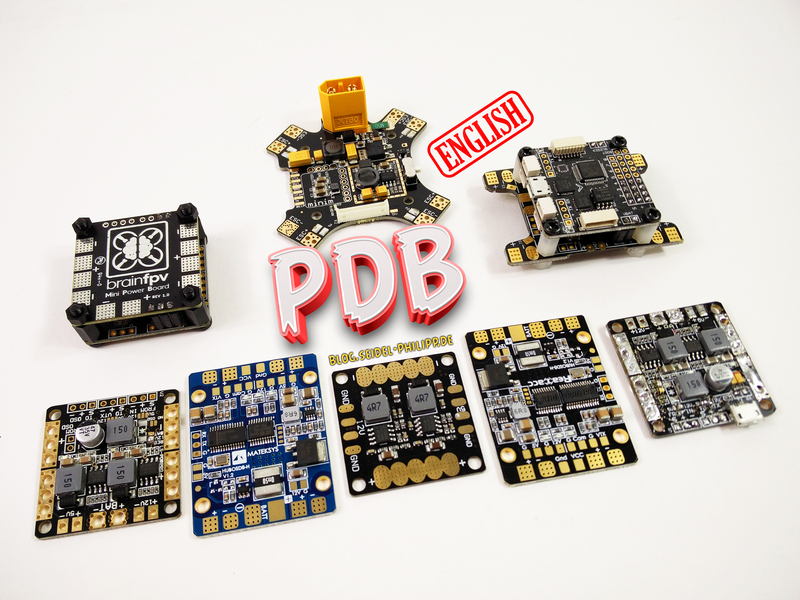 The following is an overview of different available PDBs. I have not listed all the features, but only highlighted the special features of the PDB. You will always find more detailed specs on the linked pages. Currently my absolute favorite! 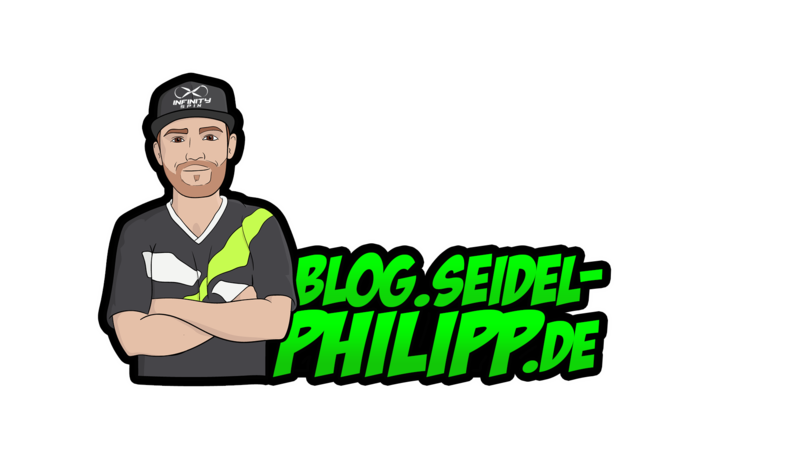 The HUBOSD von Matek/Realacc. 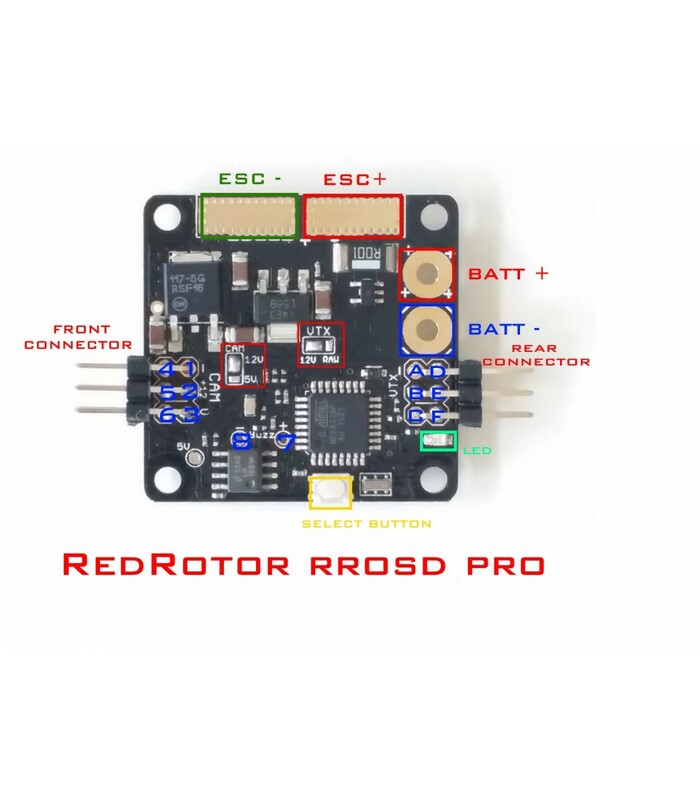 This Power Distribution Board offers a simples OSD which runs without connection to the flight controller. Also installed is a current sensor, LC filter and the usual voltage regulators for 12 V and 5 V. The board can be configured using an FTDI adapter. I especially like the the low profile. 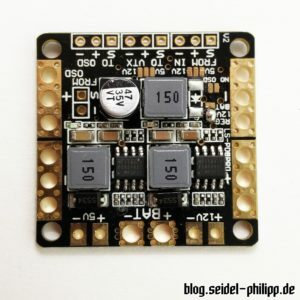 Just like the HUBOSD but with XT60 plug, which can be soldered directly on the board. 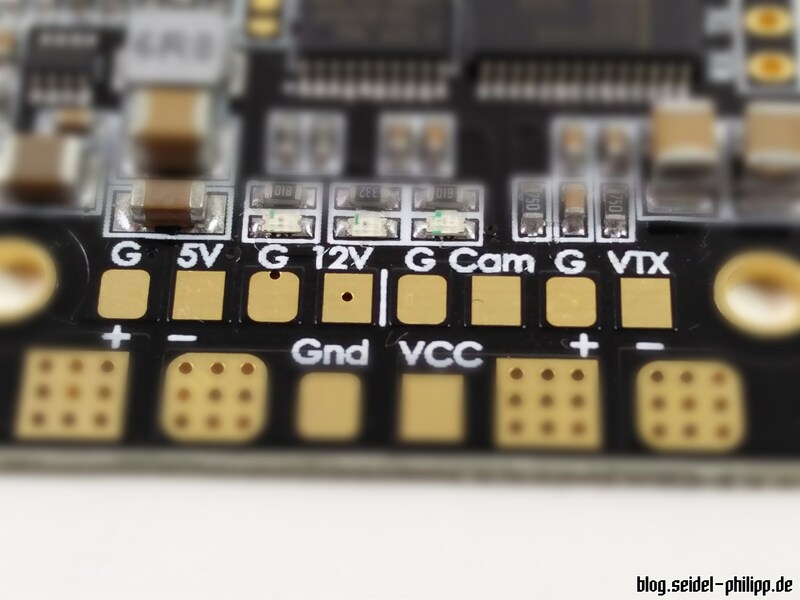 To keep the PDB safe during a crash, a short flexible cable can be soldered between the XT60 and the board. 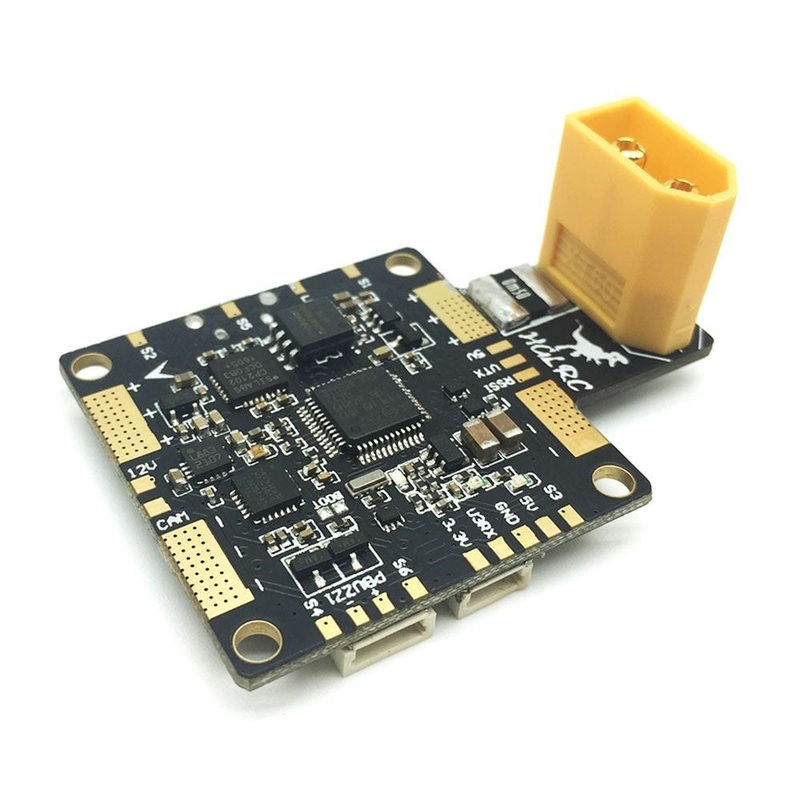 Not quite cheap, but one of the rare PDBs which offers an OSD, BEC, current sensor and F3 flight controller. The HGLRC V3. Ideal for small copters with little space. A tried and tested this Power Distribution Board running under the name “CC3D PDB”. Features voltage converters as well as LC filters. 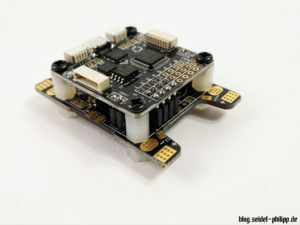 The special feature of this PDB is that it can be connected to an SP Racing F3 Clone via pin headers. 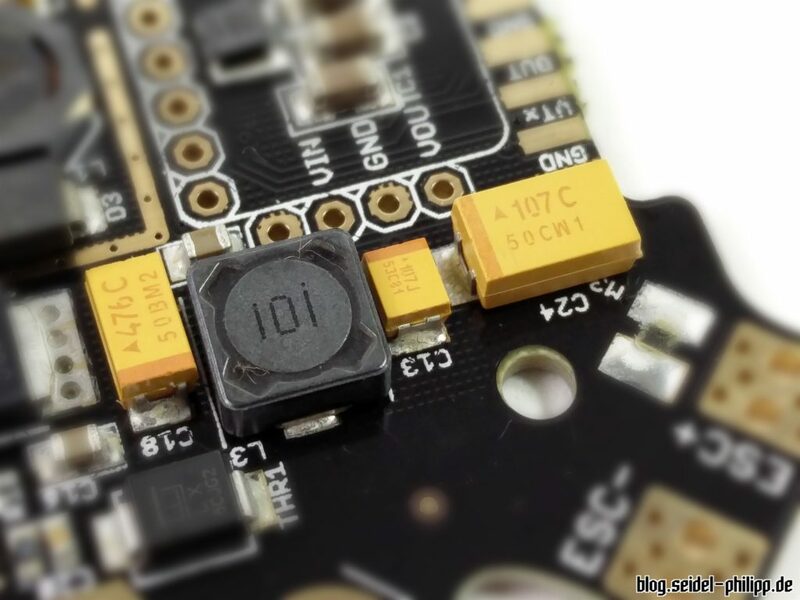 This has the advantage that the FC can be replaced in just a few steps and without soldering. 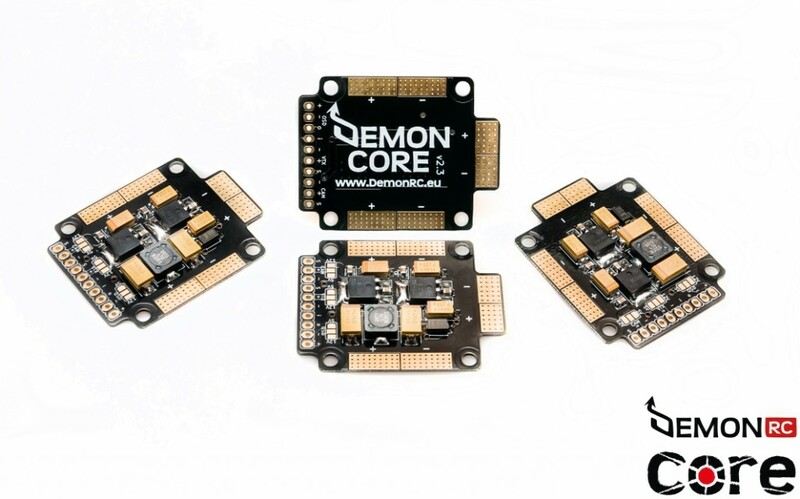 The DemonCore PDB is a high-quality PDB from Poland. It has a LC filter as well as 5 V / 12 V regulators. 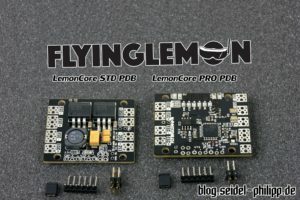 Flying Lemon, also from Poland, offers his PDB in two versions. A standard and Pro Version. The Pro version has an integrated OSD. A very popular PDB with integrated extensive OSD. 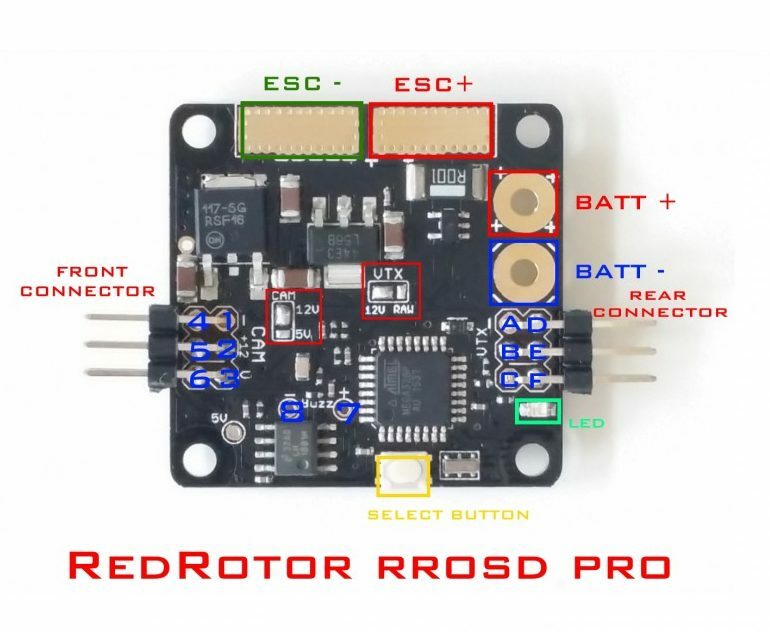 The Red Rotor RROSD. Also with current sensor, voltage regulators for 5 V and 12 V as well as a cut-off for the flight controller. An extensive Power Distribution Board from Flying Lemon. It was specially designed for X quads. Also with current sensor, LC filter, voltage regulators for 5 V and 12 V as well as solder pads to install a MinimOSD.